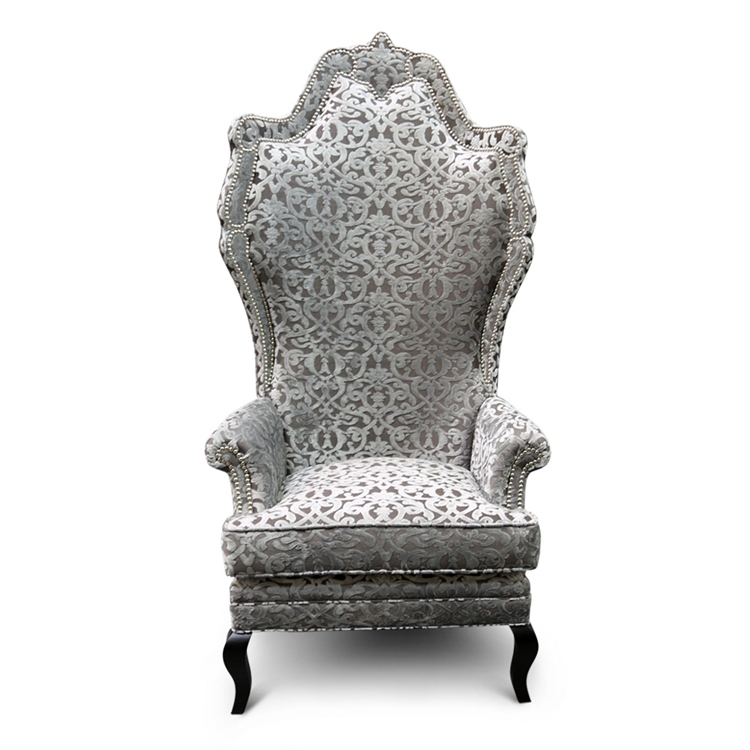 ARMES "GREY" VELVET WITH SHINY SILVER TACKS AND ESPRESSO LEGS. COM Yardage: Approximately 9 yards in a solid fabric. Item sold as shown. Boxed weight is approximately 150 lbs. Email info@hautehousehome.com or call 323.256.2800 for custom options.